Brown dwarfs fill the "gap" between stars and the much smaller planets—two very different types of astronomical objects. But how they originate has yet to be fully explained. Astronomers from Heidelberg University may now be able to answer that question. They discovered that the star ν Ophiuchi in the Milky Way is being orbited by two brown dwarfs, which in all probability formed along with the star from a gas and dust disk, just as planets do. The research results were published in Astronomy & Astrophysics. 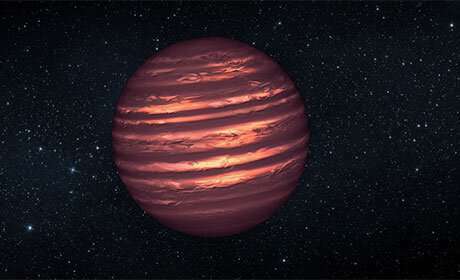 Brown dwarfs orbit either one star or travel in isolation in the vast expanse of the Milky Way. Their mass—they are at least 13 times heavier than the planet Jupiter—is sufficient to generate, at least temporarily, energy in their core through nuclear fusion. They are not sufficiently massive, however, to ignite hydrogen in their cores and hence to create their own light. The heat they continue to radiate after formation is how astronomers are able to locate them. It is estimated that up to 100 billion brown dwarfs make their home in the Milky Way. 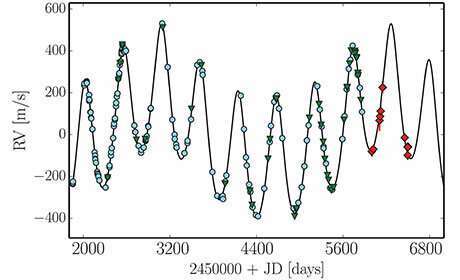 Yet it remains unclear how they form—whether they are "failed" stars or possibly even super-planets. Is gravel failed rocks or super sand?